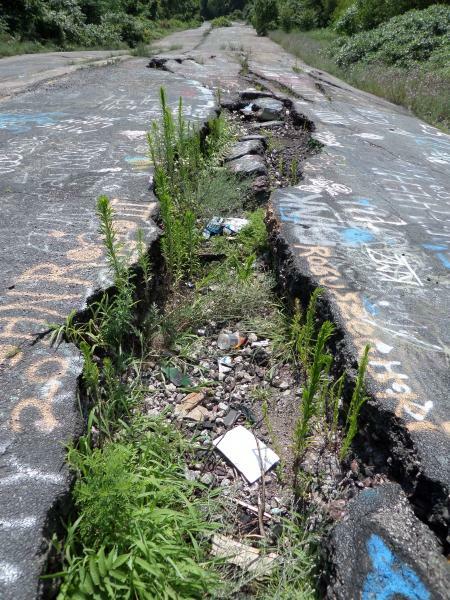 For over a decade, Centralia, Pennsylvania has been dubbed ‘the real-life Silent Hill’. And it’s easy to see why, with its history ripe for horror. Roads abruptly end, poisonous gases leak from cracks in the concrete, children are sucked into sinkholes, spouses murder each other. But the more I’ve researched Centralia, the more I’ve realised that, like all good horror stories, this one is more of a tragedy. It’s a tale of a once thriving community where everyone looked after one another that has been almost abandoned, now dubbed ‘the town that was’. Truth be told, I just wanted to write about a spooky ghost town and tie it in with one of my favourite video games, but what I found was far more interesting, troubling, and bizarre. It’s a popular misconception that Centralia was an early influence on Silent Hill. Centralia only entered the Silent Hill story when the 2006 movie was released and director Christophe Gans, along with screenwriter Roger Avary, noted it as a direct influence. So much so that the film's working title was Centralia to avoid attracting the attention of troublesome Silent Hill fans. Christophe Gans said, “we used [what] had happened to the city of Centralia to feed the mythology of Silent Hill.” Like Centralia, the movie-version of Silent Hill was built over a coal mine. There are direct and indirect references to the coal mine and fire throughout, including attacks from charred children. As with Silent Hill, the fire in Centralia still burns under the town today. There’s no single town or consistent reference pinpointing where Silent Hill is. In fact, from game-to-game, the suggestion as to location is intentionally inconsistent. It’s most often implied that Silent Hill is in Maine (and yes there are many Stephen King allusions throughout, too). Numerous Silent Hill instruction manuals state it’s in New England. In Silent Hill: The Novel Harry wishes he was enjoying the ‘Maine wilderness’ with his daughter. In Silent Hill 3 Cheryl holds a sign from Portland, Maine (Stephen King’s birthplace), and so on. To add to the confusion, some of the locations and maps in the original trilogy were based on the Japanese lakes and surrounding areas of Towadako and Tazawako. Furthermore, in Silent Hill: Shattered Memories, Cheryl Mason has a Michigan license plate (note, too, the ‘Route 66’ flags). Then there’s the film—based on Centralia, dubbed as ‘Silent Hill, West Virginia’, and filmed in Canada. This irregularity only adds to the bewilderment and sense of loss one feels in Silent Hill, a place that isn’t simply found but is rather somewhere to go to resolve deep-seated trauma. Silent Hill is a world that shifts its shape, moulding to the suffering and tragedy the visitor is navigating. Take, for example, the Pyramid Head origin story—he is a manifestation of and a response to James Sunderland’s longstanding guilt over his wife’s death. A cruel extension of James’s psyche. 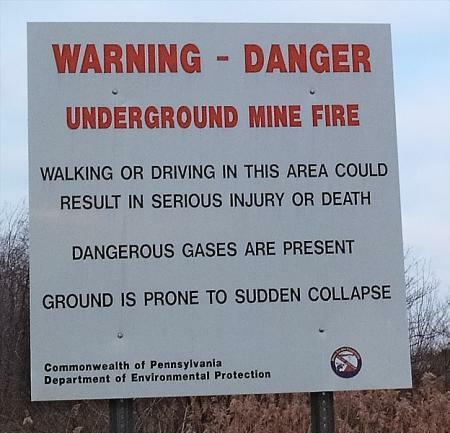 Back to Centralia, Pennsylvania, an (almost) abandoned coal-mining town that’s been on fire since 1962. The first question that probably springs to mind is, how did the fire start? Turns out this isn’t terribly easy to answer. In fact, it’s a matter of intense debate. The general consensus is that a spark from a burning landfill spread to Centralia’s rich coal deposits. In a twist of cruel irony, the town’s main source of revenue became its undoing. As a consequence, there have been a multitude of knock-on effects with echoes of Silent Hill: noxious fumes escaping from cracks in the pavement, the ground caving in and swallowing bits of the town and the odd child (though probably non-odd children, too), and probable asphyxiation for those that stick around in the most dangerous parts of town for too long. But conspiracy theorists reckon it’s an inside job, suggesting that the government and private corporations were intentionally ineffective in extinguishing the fire so they could drive residents out of Centralia, seize the land and profit from the precious anthracite. David DeKok, the author of the most extensive book on the Centralia fire, Fire Underground: The Ongoing Tragedy Of The Centralia Mine Fire, hasn’t found “a single, hard piece of evidence proving there was a government conspiracy to take the town’s coal.” The fire wouldn't be especially difficult to put out, it would just be too expensive. By 1981 “it had grown so much that trying to extinguish it just by pouring water into the mines would take twenty years of non-stop pumping.” The likely truth is that, far from being an inside job to profit off Centralia, the town wasn’t valuable enough to justify the cost. Each attempt followed a tired pattern: draw up a list of options to extinguish the fire, select the cheapest, discover it’s ineffectiveness and/or run out of money. Repeat. Not only has the fire not been put out, but a Smithsonian article suggests it is still “growing like an amoeba, about 75 feet a year” with numerous borehole recordings of temperatures in excess of 1,000 degrees Fahrenheit. Being built on and around a coal mine has, of course, drawn comparisons to Silent Hill. Silent Hill’s origin story is ambiguous—some believe it was built on ancient burial ground, others that it is in fact a portal to hell. Then there are rumours of strange creatures, spirits, and even aliens. The blurred truth ties in uncomfortably with the rumours and conspiracies surrounding Centralia. Interpretations that differ depending on who you listen to or which accounts you read. Readings that are so different it’s almost as if they’re from different worlds (say, the real world, fog world, and nightmare world). The Silent Hill series is synonymous with cracks in the road and sections of town that end abruptly, but imagine if on top of this the ground could swallow you. That’s the situation we’re dealing with in some parts of Centralia as a result of the fire. As Ranker puts it, “visitors are warned to keep watch of their children at all times in case a sinkhole opens in the road and swallows them up.” Centralia garnered attention on Valentine’s Day, 1981 when twelve-year-old Todd Domboski fell victim to one of these sinkholes. The more he struggled, the further he sunk, until his head was several feet below the surface. Fortunately, his cousin was quick on the scene, pulling Todd to safety. The incident prompted officials to take Centralia’s problems more seriously (because, you know, a perpetual fire wasn’t enough). If you think the fog that permanently hazes Silent Hill is bad, that’s child’s play compared to Centralia. When the government started filling in open pits that had been venting fire, they inadvertently channelled carbon monoxide into some residents’ homes. To make matters worse, government funding didn’t stretch far enough for everyone to get carbon monoxide detectors, so residents were forced to share or go on waiting lists. Around the town you’ll find various warning signs regarding poisonous gases and much of the vegetation has been killed off as a direct result. Analysis of the hole Todd Domboski was drawn into revealed if he’d remained there minutes longer he’d have suffered from asphyxiation. Route 61 is the main road leading into the town where the majority of the fire still burns. But here’s the thing, the road is now unusable and anyone who wishes to trek to the centre must finish the journey on foot. If that’s not the start of a horror video game, I don’t know what is. Seriously, the original Silent Hill begins with Harry Mason driving, seeing a ghostly figure, crashing his car, and subsequently proceeding on foot. To add to the strangeness surrounding Centralia, warning signs—I imagine things like “FYI, this town is on fire”—keep disappearing. 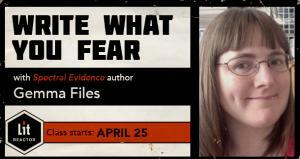 Seriously, check out the Centralia PA website for further details. Balkan Church is amongst the eeriest locations in the original Silent Hill. Not least because you first encounter it alongside everyone’s favourite fortune-telling Cult High Priestess, Dahlia Gillespie, who has that classic ‘evil old witch’ aesthetic down to a tee. It also belongs to the Order, a religious doomsday cult that is integral to the Silent Hill story (they do such delightful things as set children on fire—there’s that fire motif coming into play again). Cool story, right? But you’re likely wondering what this has to do with Centralia. Well, get this, one of the few buildings to survive the fire is the Assumption of the Blessed Virgin Mary Ukrainian Catholic Church. It’s just two blocks north of Route 42 in Centralia, holds weekly services, and is still attended by 50 parishioners. According to the latest census, there are only 10 people living in Centralia which means there are people from out-of-town flocking to the church. I suppose, if I were to go to a church, a ghost town shrouded in smoke does have a certain appeal, but it also sounds like it might come with a “once you’re in, you ain’t getting out/sign by blood” deal. This isn’t just a church with a Centralia postcode, it overlooks the entire town (check out the official church website for proof) and according to Google Maps you can walk from the church to the centre of Centralia in just over ten minutes (assuming you don’t die of carbon monoxide poisoning or are sucked into an infinite abyss first). Bertha and John Mayernick didn't have enough money to buy a place of their own, and pretty soon they got to squabbling. Then fighting. And John lost his temper. Stabbed Bertha to death, covered himself in gasoline, lit a match, and ended their worries. Despite the Silent Hill trivia and morbidly fascinating string of events that have made Centralia famous for all the wrong reasons, there’s a tenderness to the tale. At one time its maximum population was 2,761 and now just ten residents remain. Soon the population will enter the single digits. So why do people still live in this burning, poisonous gas-prone, near ghost town? It’s a reasonable enough question, but the answer will pull at your heartstrings. People still live there because it’s the nearest thing they have to home. Because it contains memories, because they want to keep the positives alive, and for Centralia to be more than just ‘the town that was’. There are many articles and videos depicting Centralia as a ghost town, but there’s a 2006 documentary, The Town That Was, directed by Chris Perkel and Georgie Roland, that digs deeper, revealing what Centralia used to be, and introduces you to some of the people who lived and still live there. You should watch it, just as you should read David DeKok’s Fire Underground for a fuller appreciation. The Town That Was is eye-opening and transformed my view of Centralia, because it was no longer just a footnote to my favourite video game. It was a real place, with real people, living real lives. Towards the end of the documentary Tom Larkin, a former resident, speaks about Centralia and in so few words captures the core of the Centralia tragedy and offers some great life advice, too. It was my home for so long. You know, it still is my home, in a way. Even though, there’s nothing there to call home … It is a very sad thing. It is a very sad experience driving through there when you think of what it used to be. And you think of why it is as it is. And you realise the futility of it all. But you can’t resurrect the past, you put your foot forward and march. It’s the only thing you can.